Rooftop solar installations are going ahead in the Republic of Ireland without subsidy, according to Swiss roof mountings manufacturer Schweizer, which has suggested a rooftop tariff may not be needed. 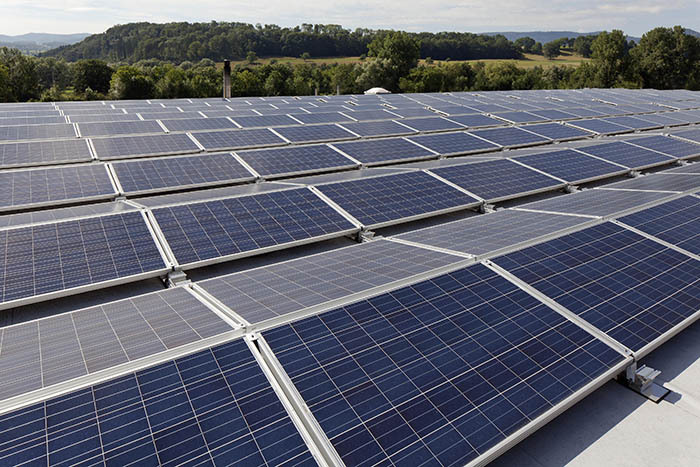 A review carried out by Schweizer and solar equipment supplier BHC Distributors found owners and occupiers in several locations are turning to solar to lower their electricity bills, which in some cases can warrant unsubsidised projects going forward. Martyn Johnson, Schweizer’s sales manager for the UK and Ireland, told Solar Power Portal: “It is a very tough market but the returns aren't that bad. If it’s [for] self-consumption and makes a proper return, some people will go ahead and be happy to install. “You have to have a situation where a customer is paying a reasonably high electricity price, north of €0.10-0.14c [per kWh], then solar might start working out and you might get a 5-7 year payback that's good enough for people. Some projects found to be going ahead using MSP roof mountings by Schweizer include a 1.6MW rooftop scheme where all of the energy generated is to be used on site. With falling panel costs also playing a factor and wider use of batteries expected in coming years to further boost, Johnson added that the country may not need a long-awaited subsidy. "I don't think there is a need for a subsidy in Ireland and the more generous it is the more you create a boom and bust situation, which we've had in all kinds of markets. I think we can stand on our own,” he said. Ireland’s Department of Communications, Climate Action and Environment was expected to unveil its renewable energy support scheme last month following months of delays however it is still forthcoming, with a government spokesperson telling SPP the final consultation would be published this month. “There are a lot of people still waiting for an announcement of some sort which just keeps not happening,” Johnson added.